We’ve found great deals at 208 hotels! 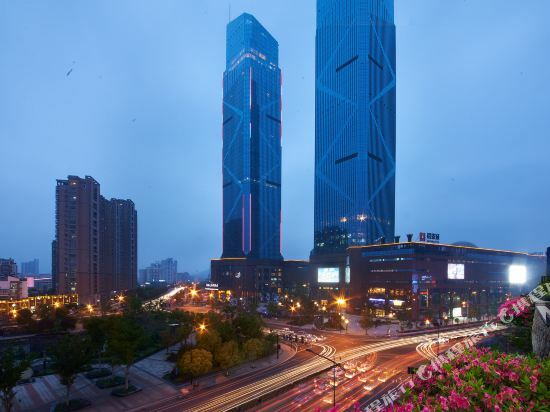 The Huzhou International Hotel (Huzhou Guoji Dajiudian) is a four-star hotel located on the middle section of Hongqi Road, Huzhou's financial and commercial center. This Huzhou hotel offers guestrooms of different styles, all equipped with free movie channel and internet access. The hotel's conference center consists of modern conference halls of various sizes and a well-equipped multifunctional hall. Other services include bowling, a card room, computer games, a dance hall, KTV rooms and an indoor swimming pool. 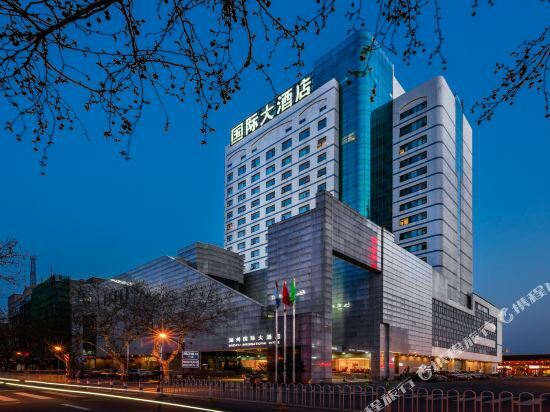 The Zhebei Hotel (Zhebei Dajiudian) is a four-star hotel, located in Huzhou's business and financial district, merely 10 kilometers from Huzhou Railway Station. This Huzhou hotel's guestrooms range from standard accommodations, to deluxe and Presidential suites, equipped with air conditioning, 24-hour hot water, satellite TVs, international direct dial telephones and mini-bars. Several different Chinese cuisines are served in the hotel's restaurants and there is also a coffee shop and bar. Business travelers may book any one of six different meeting rooms and a comprehensive business center. In terms of recreation and relaxation, guests can take exercise at the gym, have a refreshing sauna, or play a game of bowling and billiards. The Garden Grand Hotel Nanxun (Nanxun Kaiyuan Mingdu Dajiudian) is a 5-star deluxe hotel within easy reach of the Nanxun ancient town and the Jinxianghu Park. 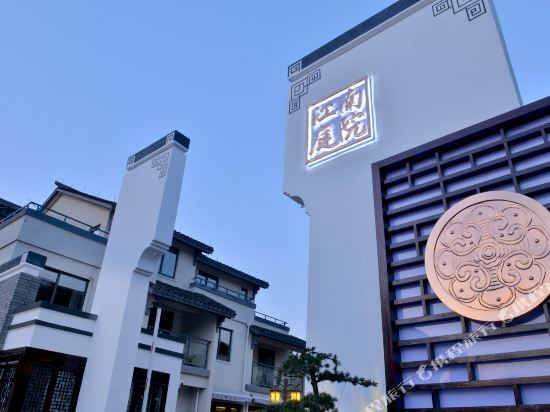 In this Nanxun hotel, guests may enjoy not only local dishes, seafood, bird's nest, abalones and shark fins at the Chinese restaurant, but also international foods at the Western restaurant. This Garden Grand Hotel has various well-equipped function rooms, which are suitable for planning meetings, banquets or other venues. Additionally, there is available catering service with professional staff ready to offer their help anytime. During their spare time, guests may spend some time at the golf course, or play tennis with friends at the outdoor court. Those loving to socialize may head to the bar. The Leidisen Hotel Huzhou (Taihu Leidisen Wenquan Dujia Jiudian) is located in the Taihu tourism resort. This hotel looks like a ship and offers various deluxe rooms with lake views. The presidential and executive villas are on an island. The on-site restaurant provides both Chinese and Western dishes. There are also 16 private dining rooms at guests' disposal. Business guests can take advantage of a multifunctional hall and nine variously-sized conference rooms. Book hotels in Huzhou via the Trip.com website or app, it's easy and hassle-free. New and popular hotels in Huzhou recommended by Trip.com. For trips in Huzhou, you can choose hotels around the city center or accommodations near popular attractions. If you travel to China, visiting Huzhou is a good choice. Cities near Huzhou include Anji, Deqing, Guangde, and so on. There is no civilian airport in this city. You can visit a nearby city first, and then head to Huzhou using other means of transportation. There are 53 hotels in Huzhou with excellent service. The local average price is 45 USD per night. There are a variety of hotels to meet the needs of different types of travelers. There are 8 five-star hotels in Huzhou at an average price of 102 USD per night. There are 8 four-star hotels in Huzhou at an average price of 71 USD per night. There are 19 three-star hotels in Huzhou at an average price of 36 USD per night. There are 17 two-star hotels in Huzhou at an average price of 31 USD per night. There are many well-known chain hotels in Huzhou. 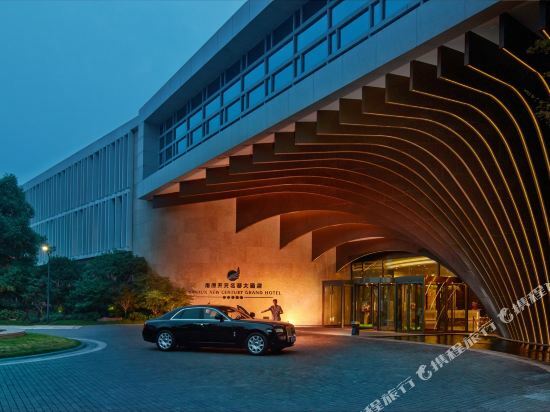 Sheraton is the top choice of many travelers in Huzhou. If the comfort level of your trip is important, there are many choices in Huzhou, such as hotels under the Sheraton brand. 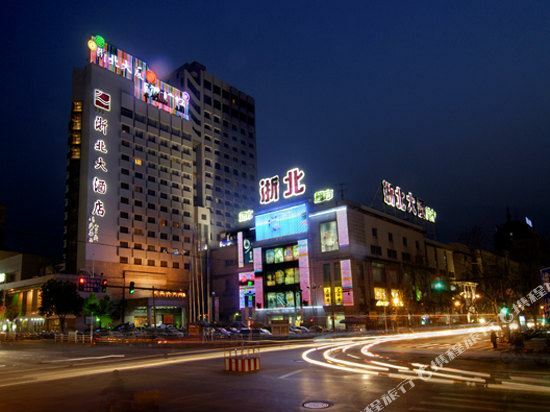 A popular hotel in Huzhou, Shangyuge Hot Spring Hotel Nanxun is also one of the highest rated. 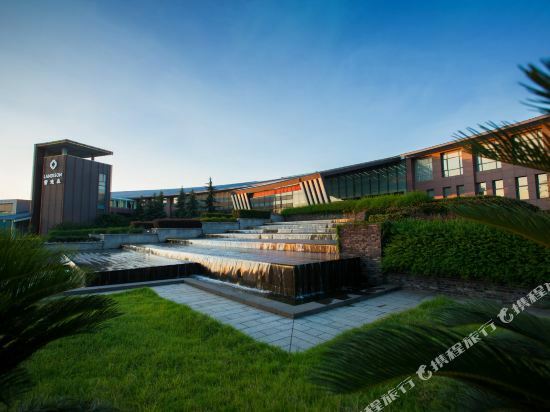 Many tourists also stay at Dongwu New Century Grand Hotel Huzhou. You can also visit top-rated attractions like Nanxun Ancient Town. Those interested in art and culture can visit attractions like China Lake Pen Museum (Southeast to Huzhou Land Management Bureau Shanlianzhen Land Management Office). There are quite a few parks like Riverside Park, Tiaoxi Park, Lianhuazhuang Park, all of which are great places to relax and spend time with friends and family. Huzhou hotel information & deal: Check out room rates, photos, a map and reviews of hotels in Huzhou and find the best deals on Huzhou hotels. Trip.com offers big savings on online reservations for Huzhou accommodation. Book Huzhou vacation packages and Huzhou tours with huge discounts on Trip.com!